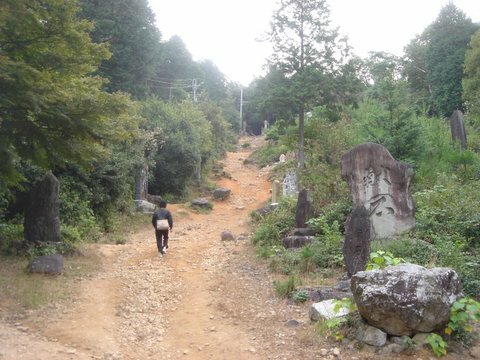 Recently, I started to clime some mountains to take off my weight with my friend every weekend. 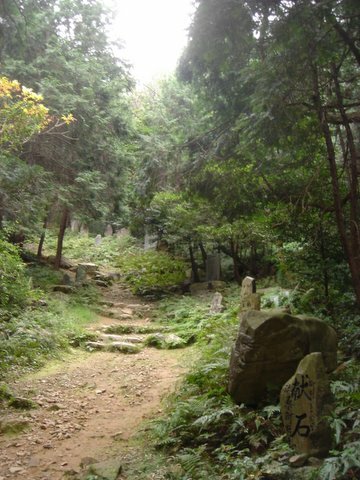 And one of our favorite mountains is “Owari-Fuji”, which is the holy mountain in our area. So, this time I’ d like to introduce the mountain, because of the mountain is very unique. At the beginning, I need to describe the mountain, how the mountain is unique. The mountain is owned by the Shinto shrine and they have a “Ishiage-Matsuri“, which is a festival to bring some so big stones to the mountain. 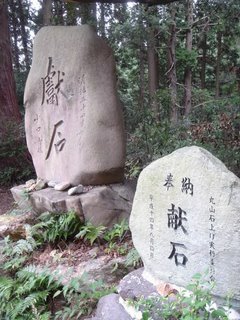 This is the reason, there are a log of big stones along the mountain path. Please check my pictures that I took when I clime the mountain! 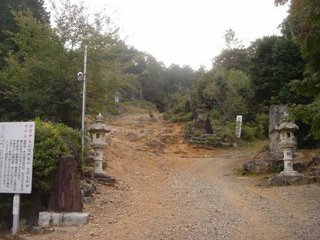 This is the bottom of the mountain and the entrance of the mountain path. Could you feel something by this picture? After start to clime, there are some big stones on both sides of the path, and some of the stones are so old. Could you guess the size of the stones by the person? The stones are bigger than him. So, the stones were brought by many people from old times. 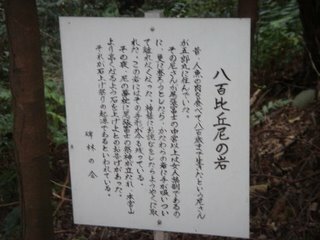 When I was at the middle of the mountain, the time I found the freestanding signboard, which describing the story of the mountain. The story is…”Once upon a time, there was a nun who ate a meat of mermaid, and she already lived to be 800 years old by the meat. When the nun wanted to climb over the middle of mountain, her palm stuck on a rock and couldn’t separate it. Because, the part over half of the mountain was closed to women climbers. After making apology for the mountain god, her palm was separated. Therefore, every big stones has same word “献石”, and the word means “Offering Stone”. The left stone and right stone have different words, right? Right stone is younger than left one, so the styles of the Chinese character are difference. After middle, the atmosphere would be suitable for the holy mountain. The air also changed to be chilly. 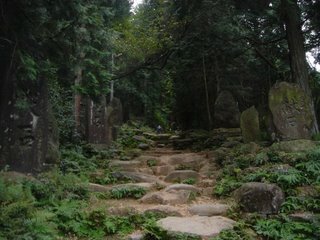 And these stones amazed me. You know? 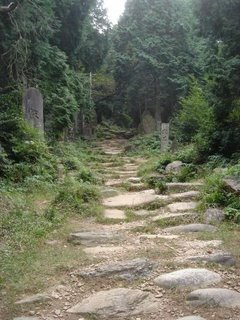 The weight are so heavy, so I couldn’t guess how they brought to, because, some of the part of the path were too steep that they brought it to. Could you see? There was a path at the center of the picture to go the top of the mountain. 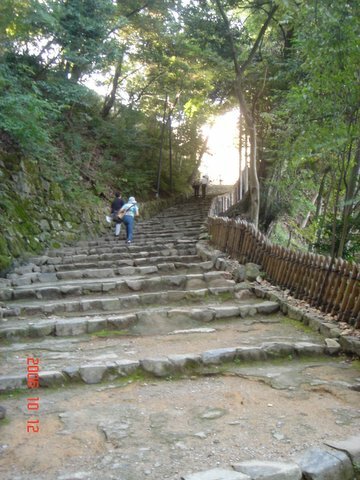 I climbed on the way by the recommendation of my friend for our exercise when I went up. After followed him, I got regret soon. 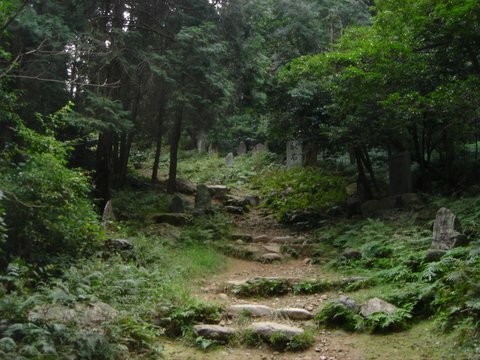 This picture is another path. In my opinion, this way is totally better than his recommendation. Don't you think so? This is the top of the mountain! 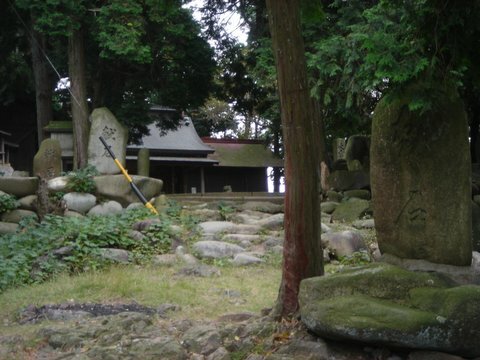 There is a Shinto Shrine! 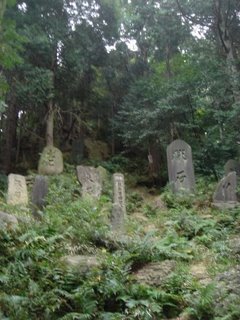 I found some so old big stones that had been brought before 150 years ago. How do you think about this holy mountain? 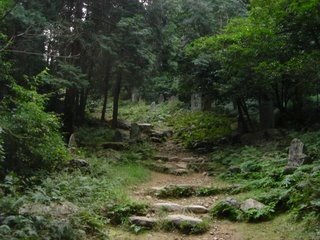 In my case, I really enjoyed to climb the mountain and to feel the atmospheres that was so nice to feel ancient Japanese nature. If you’ll visit Aichi province, please try to climb this mountain. Do you like Chicken wings? 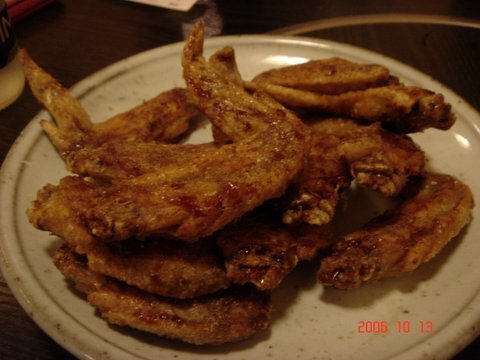 Our hometown area, which is Nagoya area, is the famous about chicken wings in Japan. And we call it Tebasaki. The Tebasakis are grilled or deep fried, and the taste is so nice, so we really love them to be honest. 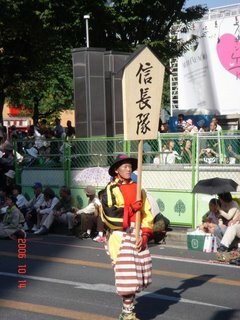 This is the picture of the Tebasaki looks nice, right? When we start to order, we ordered three serving of the Tebasaki with beer. This is the Nagoya style! 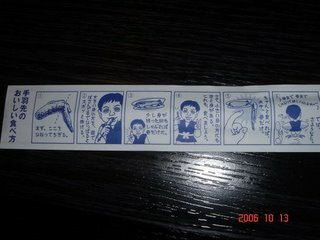 And do you know how to eat chicken wings in our area? I took a picture describing the way. Can you understand by a below picture? If you do that in front of your friends, it would make them be surprised surely. So please try it. Last weekend, I went to Nagoya-City that is the third biggest area in Japan to meet my friend. 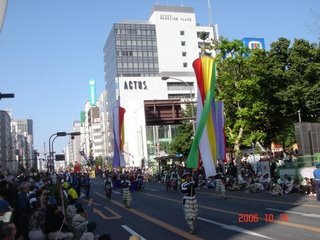 At that day, there was one of the most famous festivals in Nagoya-City, which was Nagoya Festival. So, in this blog, I’d like to write about the festival. 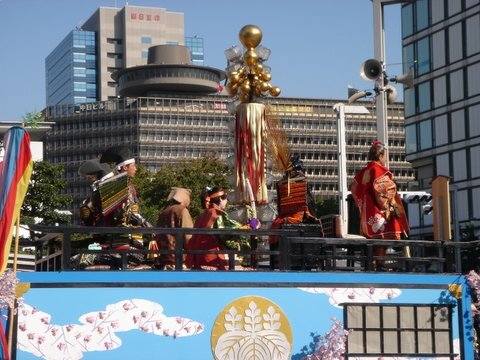 In this year, Nagoya Festival was holed on the week end of October 15th and 16th. The festival had some events and biggest event is the “Kyodo Saneiketsu”, which celebrates the three most famous and popular Samurai in Japan whose name are Nobunaga Oda, Hideyoshi Toyotomi and Ieyasu Tokugawa. I enjoyed the parade. 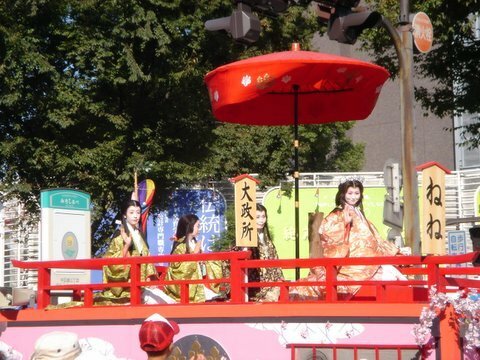 And at the festival, we can enjoy other events in Nagoya-City, I want to enjoy more events next year. In additionally, some place were given free access, for example Nagoya-Castle, Higashi-Yama zoo and so on. 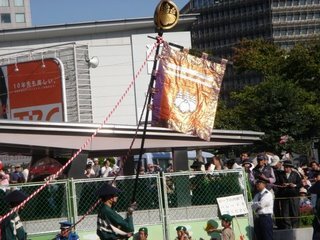 From here, I uploaded some pictures at Kyodo-Saneiketsu in Nagoya Festival. Please check them! There are three group, because the parade for three famous Samurais who are Nobunaga, Hideyoshi and Ieyasu. 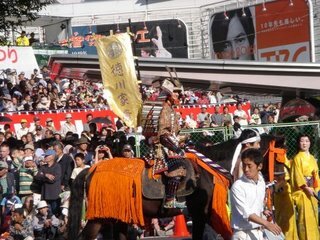 So, the parade has three group for three Samurais and Nobunaga is the first samurai and Ieyasu is the final one at this parade. This picture is beginning of Nobunaga group, and the guy has a nameplate of Nobunaga. 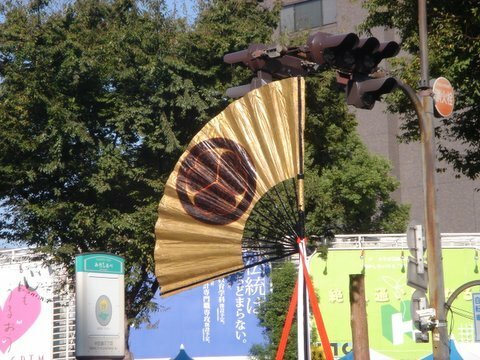 This is the symbol of his family, and called “Mokkou Ageha-Chou”. 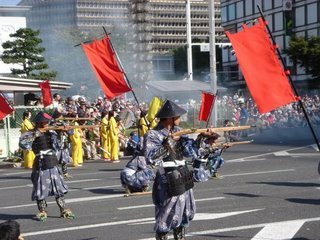 It’s one of the parts of Nobunaga group, after this part there are some gun solders and Japanese sword solders and generals. We enjoyed short play each groups. 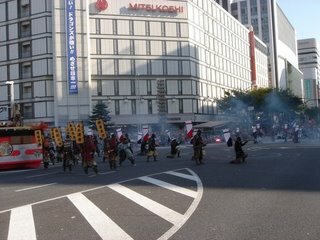 Nobunaga’s short play is Anegawa-war, the time I took some pictures for gun solders. Because, Nobunaga’s gun solders are very famous. after the war, Nobunaga on with his horse entered the place! And after Nobunaga, his general were following him. 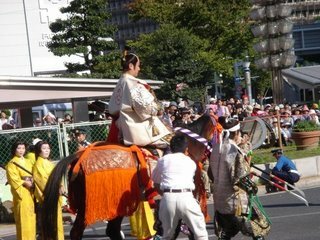 In this parade, Hideyoshi and Ieyasu were just Nobunaga’s general, even if they had own group in this event. Each groups have a women’s car. 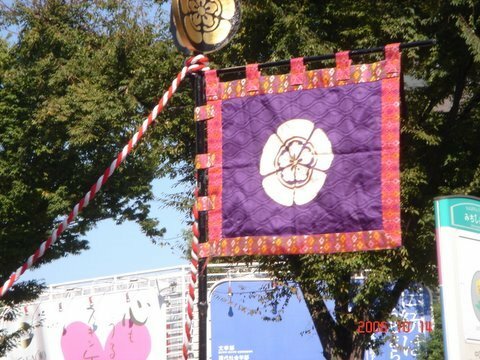 This picture is Hideyoshi’s one. Looks beautiful, right? I took the picture of his gun solders were shooting at the beginning of his short play. Can you see the fire on the gun? After gun fight, they started sword-to-sword fighting! Finally, there were only one each general! 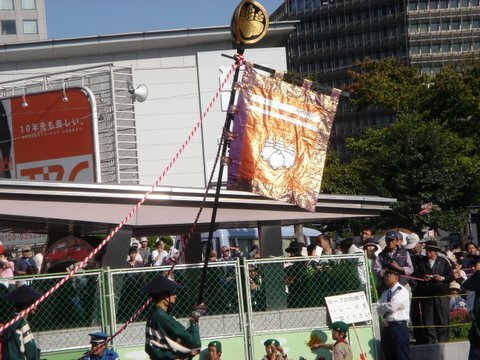 On this blog, I don’t want to write every thing, so please stop Nagoya Festival next year. 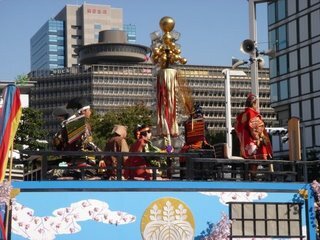 I hope that you will enjoy the parade and some other events at Nagoya Festival. 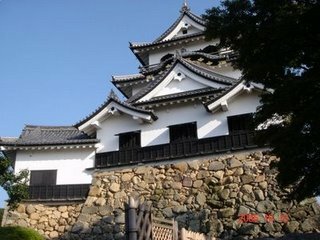 Yesterday, I visited at "The Hikone castle", which is one of the Beautiful castle in Japan. 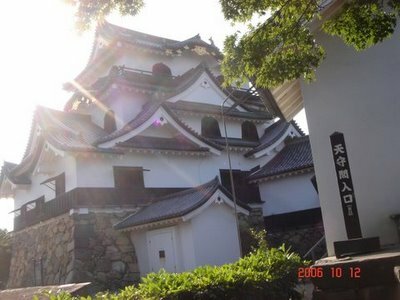 And the Hikone castle locates very close the Biwa Lake, which is the biggest lake in Japan, so the location is truly wonderful. 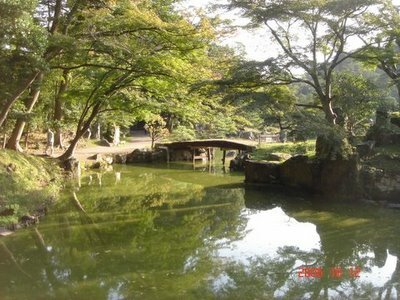 In additionally, it's famous about autumn leaves and cherry blossoms, and it has the big Japanese Daimyo garden that is Genkyu-En. 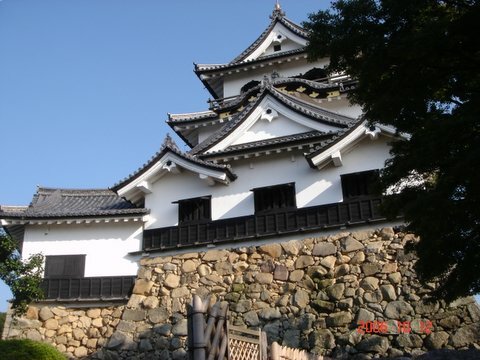 When I visited the castle, I met some international travelers, it made me guess that the castle is one of the tourist attractions in Japan or it's easy to fined the castle on some international guidebooks. The castle cost us 500 yen (almost 5 US dollars) to enter, it's not so expensive if I compare to other tourist attractions. 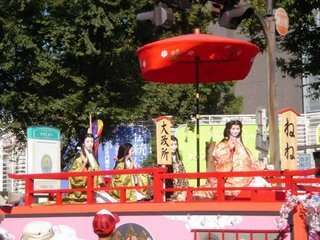 Anyway this time, I uploaded some pictures that were taken yesterday, and added some comments for them. 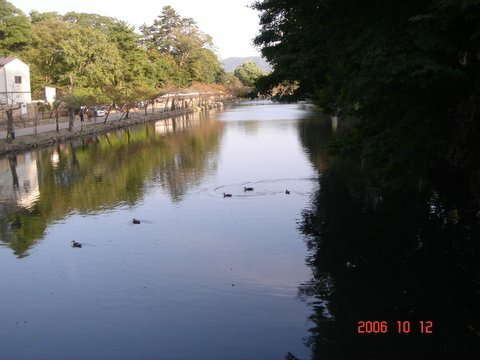 This picture is taken on the bridge that was built over the moat. I can guess that there was a gate long time ago. 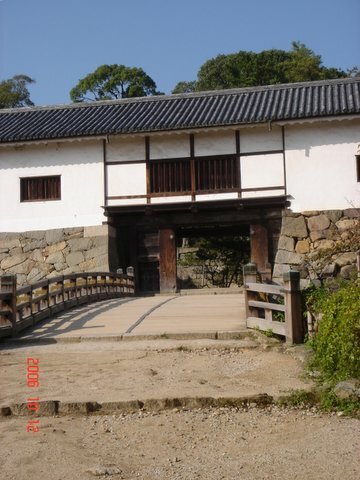 Behind the bridge, there is a stairway to go Tenshukaku, which is a center building of the castle. 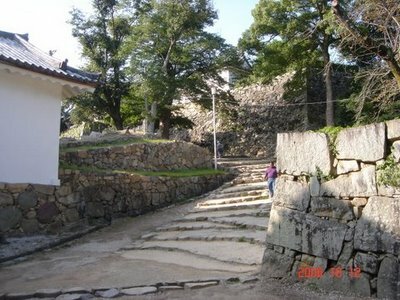 And the stairway has an idea to protect the castle. The width of each steps are difference, so it makes soldiers rush into difficultly. At the time the defensive soldier can shoot on the hill easy, right? 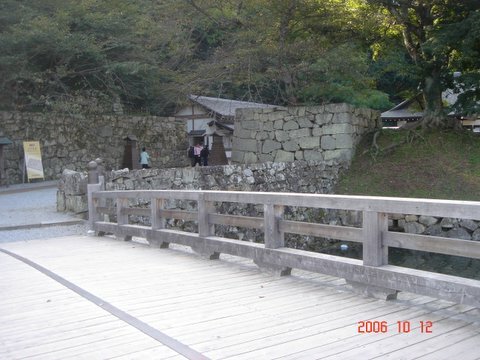 After the stairway, there is a wood bridge that connects to the Tenbin-Yagura (it means Balance-Turret). And it's a one of the national important cultural properties. This is a picture taken on the hill in front of Tenbin-Yagura. Maybe you can't guess the forma by the picture, the gate has two turret at both side and looks a balance. Please check one picture before this one, you can see the turret. 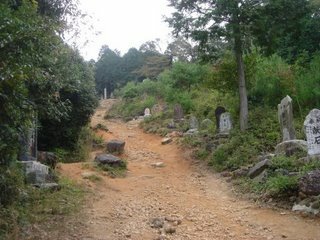 There is a more stairway to go Tenshukaku behind the Tenbin-Yagura, we can guess that there are many gates to protect the Tenshukaku. 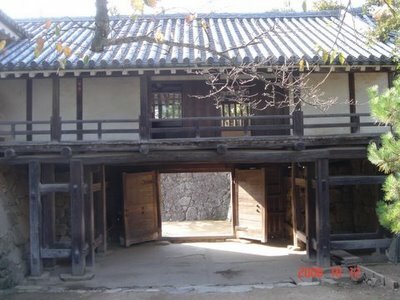 This picture is the back of The Tenbin-Yagura. There is a small open space, surrounded by stonewall. I think defensive solders shoot on stonewall easy. 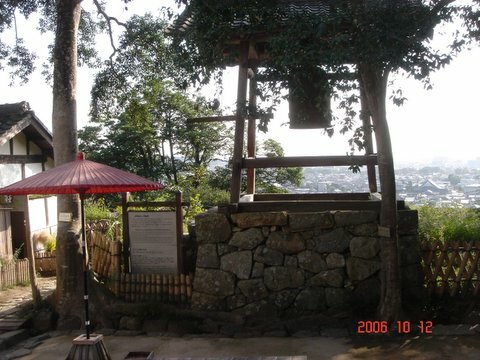 This is a bell to tell the time or war. I guess that a lot of solder were called by the bell when any war started. 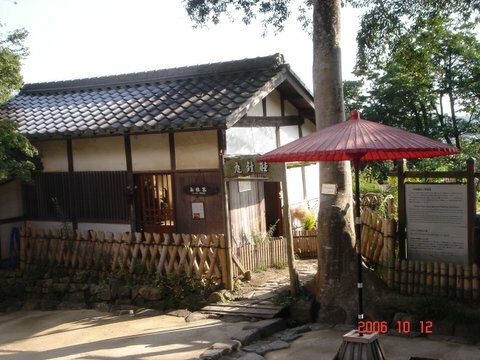 This is a one of the café to enjoy the Japanese green tee that wee call Matcha. The price of one cup of Matcha is 500 yen (almost 5 US dollar). I didn't check the garden behind the café, but maybe it is maintained well and you can enjoy tee and the garden. This is the final gate to go Tenshukaku. 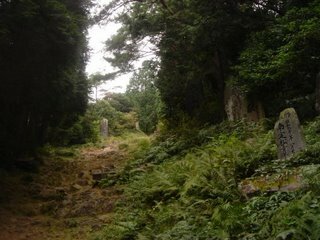 Can you see the really big pillar? 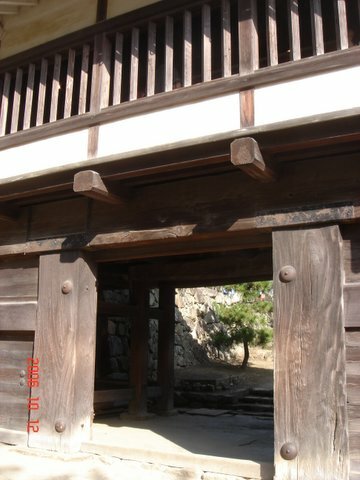 This is the back of the final gate. Some of the solders could shoot from second floor. 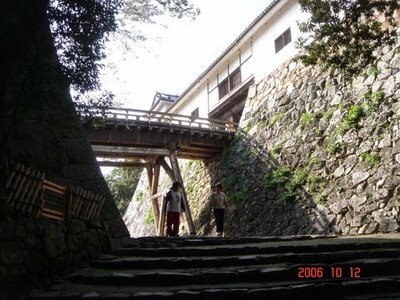 This is the Tenshukaku, which has three layers, in this castle that is standing on the backlight strongly! The Tenshukaku So, after this picture, I updated some pictures that were taken in the Tenshukaku. 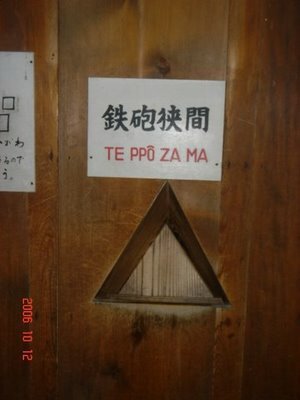 These are Teppo-Zama and Ya-Zama. These are hole to shoot some offensive solders from inside. Usually it is hided by the board. 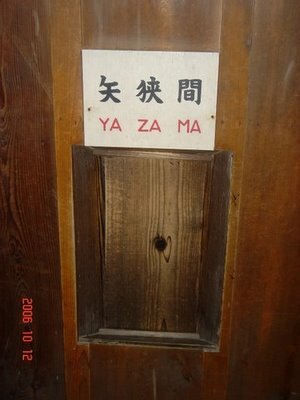 So this is the reason that we can't see the Teppo-Zama and Ya-Zama from outside. This is a stairs in the Tenshukaku. Can you guess the angle of inclination? 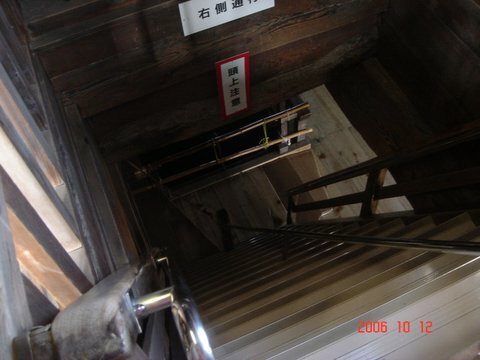 The angle is super heavy slope, and very dangerous. 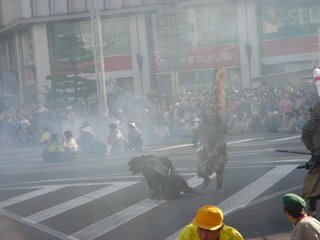 I heard that it's also to protect from offensive solders, but before fight inside of the Tenshukaku, it was burned with a bright flame by offensive solders. This beautiful view was taken on the top. 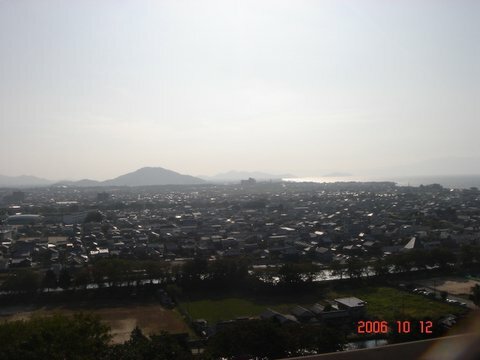 There is the Biwa Lake at right side of the picture. 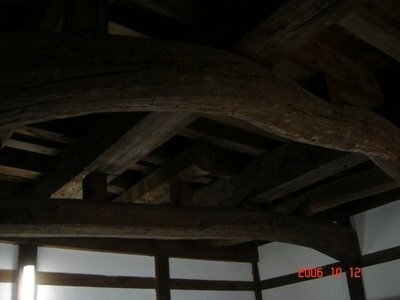 I took the picture at second floor in the Tenshukaku, the beams keep the Tenshukaku since it built up. So the size is so big and so burly, right? 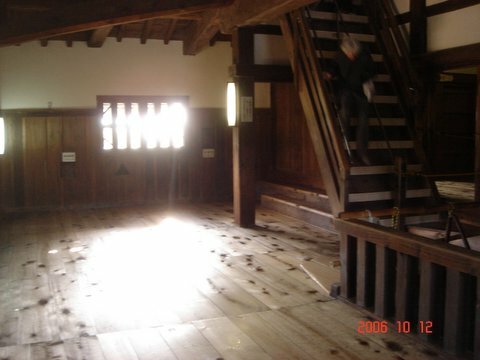 This floor is called Musha-Damari, which is the place to have some conferences with officers and some solders. However, the room isn't so large. This is the back of the Tenshukaku, the white wall is just noble. I took the picture when I come out from Nishino-Maru. Because, we can see stonewall and it's easy to understand how high is it, and it's very difficult to clime it. 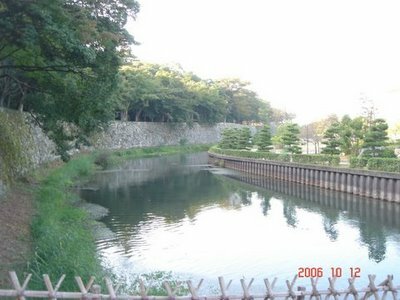 In addition, the bottom has no water, because this is the inner moat same as Tenbin-Yagura. 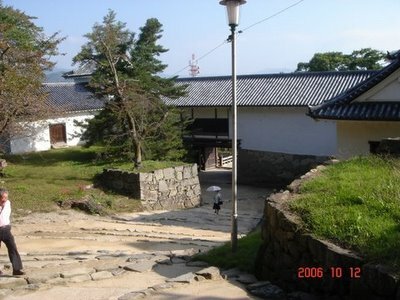 These pictures are the outer moat of this castle. The moat has water. When I stopped at this moat, I felt calm by the moat, I think the reasons came from some birds and the moat is wide. Don't you think so? 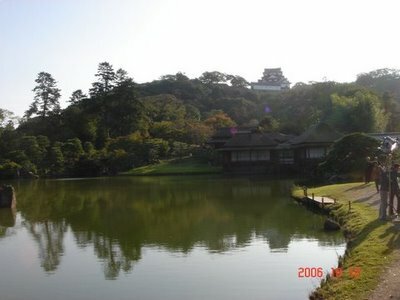 These two pictures were taken at the Genkyu-En that is Japanese Daimyo garden. 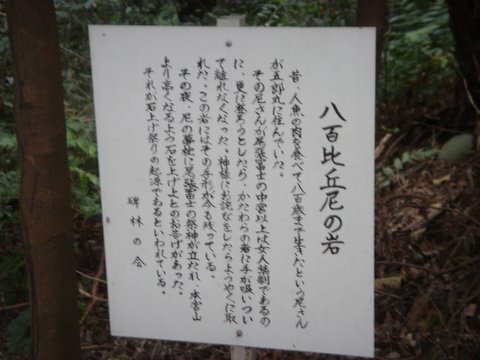 So, this is the exactly Japanese garden. Maybe you can guess the Japanese style from them. Japanese feature has few colors, green, brown and black. It's very simple. This time, I updated some pictures and wrote some comments on this page. 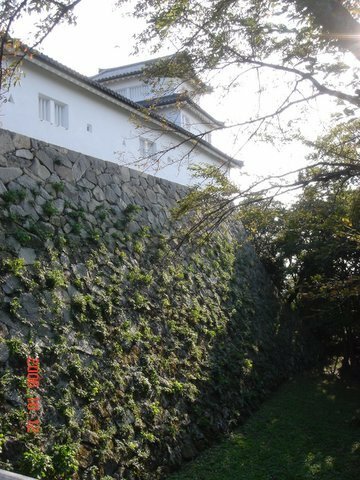 So if you watch some fake Japanese castles and gardens, you will see through it. Recently, North Korea said, “We got our atomic weapons” to all countries of the world. Japan locates close North Korea, and it’s easy to fire some missiles to Japan from North Korea. On the other hands, Japanese government and US are thinking some sanctions for North Korea. Basically, North Korea doesn’t have enough power to fight with US and South Korea. So, I worry about North Korea would fire any missiles to Japan from beginning when they start to have war with international armed forces. Basically, the area is very difficult, because they have own rules that isn't International one and they hate other countries advices. The history gave a lot of evidences. 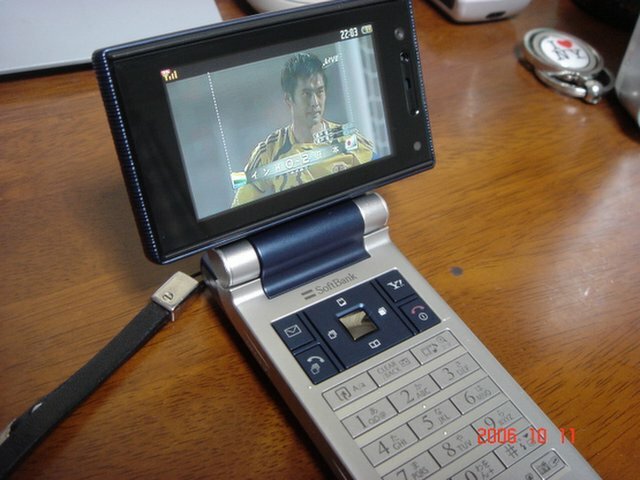 Today, I bought my new cell phone! Since I came back from Canada, I've never haven my cell phone and it makes me feel uncomfortable. But, from today, it’s very easy to contact with my friends by my cell phone actually. The cell phone has some interesting functions, which are digital TV, radio, music player, digital camera, barcode reader, electronic money, and so on. Especially Digital TV function is the best of all others, and if I insert a memory card into the cell phone, I can record the program as any TV recorder. At that time, we can select the TV program from Internet TV program listing. So, the cell phone give some funs to me.